There are 21 posts in this thread, and it has been viewed 13128 times. Metal Slug III how good (or bad) is it? 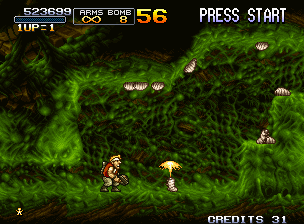 Hi and welcome to this week GOTW, which is Metal slug III. 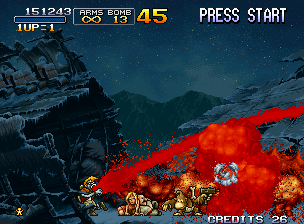 A game considered by many to be the best installment in the Metal slug "saga". 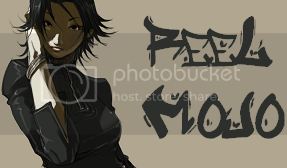 What do you guys think about it?...And don�t forget to vote in the poll. simply one of the best games ever both on the Neo and of all time. Its still a blast to play after all these years. Its aged like wine... One of these days itd be nice to own it on the AES as for now, the Anthology and the 360 port suffice. Ah it was gonna come some sooner or later, a game of very high regard often considered the best game on NG and best MS game. I have this on Xbox & PS2 anthology and liked it but really got into it when I got my 100-1 cart. I am still hunting for a genuine MVS cart but do not really want to pay over �50 for a game I already own x 3, although I am probably never gonna get it on MVS for under �50 I will keep trying. It is a fantastic game the most intense and graphically impressive of the lot , no doubt about that but is it the best, in my opinion no. Reasons why I really do not enjoy the zombie island , I find it a slog and as people often say the end level is to long although the space shoot em up is different or brave , again its a slog and one of them parts you know is coming and do not look forward too. At this moment in time and please don't curse me guys but I would prefer a game on MS5,X,1 over this. MS3 is a great game and probably one of the NG games I would automatically suggest along with MOTW and LB for newbies to try as it really shows off what the machine can do. I have and enjoy every MS game , I even really like the criminally underrated 4 , in fact each and every game in the series pisses on most other run & gun shooters on other platforms. For reference to people who dont own MS3 then get it asap ( obviously AES is gonna cost ya but its easily available cheap on other platforms) but I am in the minority when I say MS5 is my fave closely follewed by 1. 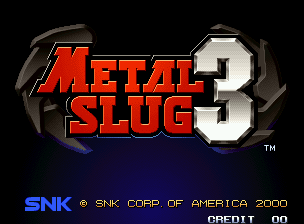 I love Metal SLug 3 it looks awesome and plays awesome. It was my fav Slug game, but i recently decided that Metal SLug 1 is the best cos overall it is the more elegant and streamlined game. However for a sequel MS3 is pretty awesome stuff!. I actually like all of it i have played so far. i really like the zombie level as well! i love the way you can vomit blood when you are a zombie, and theres that bit too where the monkey helps you out with his gun. Graphically it is awesome looking with superb characterful animation, i like the bit in the attract sequence with the jet pack thing too (haven't actually got that far yet!) it looks really spectactular, maybe one of the best looking 2D games ever! Interestingly STE i get Retro Gamer magazine and when they covered the MVS they didn't like Metal Slug 3 much at all, they said it was bloated and overlong. they prefered the first one too. I don't agree with their assessment though, i just love how bombastic and over the top it is. I think if every game was like the first one we would be bored. I think this one is the pinnacle of the series for me. They're all fantastic though, although I haven't played MS7 yet because they're taking their sweet time porting it to XBLA. I often find myself thinking about buying the XBLA version of MS3, but I already own it on MS Anthology so I can't justify spending $10 on it when I could get a game I don't already own instead. But yeah... zombies, aliens, underwater sections... when it comes to variety most run 'n gun shooters in any series can't hold a candle to this game. It's an absolute blast from start to finish. Love it to death! I have it for the AES, costed a little fortune but totally worth it. One of the best games in the Metal Slug series I think although the first one is still my favourite. The graphics are stunning with quite a lot of variety between stages. All the different pathways really add to the replay value too. Personally I love the final stage which is a fitting finale to this epic game. A lot of people seem to think the last stage is too long but I disagree. I really fancy this game, it's stunning in every aspect. Not the best in the series but definitely one of the best looking games on the system. The difficulty level overall has it's flaws though.. not seeing myself ever going through this MS game on one credit. It's easy too see this was supposed to be the last MS game too come out, and turned out to be a epic ending of a great series. looking forward to see peoples scores in the HSC and also trying to do a score myself. This is a superb out of many Metal Slug games. The missions and their locations are very exotic with lots of secrets just waiting to be found. There are more mutants and aliens in this game than there were in the prequels. I especially like the second (zombie infested), fourth and final missions. If travelling in a tank slug, or an animal slug wasn't enough, there comes the submarine slug, the helicopter slug and the space rocket slug. Also the gun cannon from Metal Slug 1 is back. The elephant and ostrich slugs are quite effective. I'd love to see other sorts of animals as slugs like a giraffe, a zebra, a tiger or a grizzly bear. There's a bigger collaboration and working together with Morden's forces than there was in Metal Slug 2 and X. The ending is pretty different from before, it makes me wonder how this peaceful moment got broken up leading to Metal Slug 4. I'd say Metal Slug 3 is a total hit in the series. 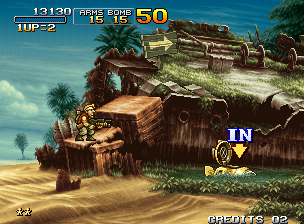 It was the 2nd one I'd ever played after, wait for it... Metal Slug X (surprise surprise!) and think it's a great game. I managed to play the likes of Metal Slug 1 a year or so later (via my JP Saturn) and indeed the rest when Metal Slug Complete arrived on JP PS2, indeed, a good couple of years ago now. After having played them all enough, I would say that MS3, whilst still managing to be absolutely TOP NOTCH is not my fave MS at all. My order goes: MS1, MS5, MS2, MSX then MS3... and f*ck me, MS3 is a really good game too!!! The choices are marginal, and based on personal taste and preference, but enough of a margin (just!) to create an order. 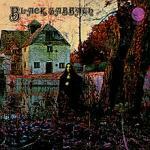 MS5 may seem like an odd top choice, but after playing it enough, I can really say that it is worthy of such praise. Of particular note is the fresh and somewhat modern take on the MSlug series, which I really like. Modern looking enemy designs and modern location settings. The end boss is, in a word, odd though? However, if there was a Neo release MS6,7,8 & 9... I'd imagine MS4 would probably be behind all of them! Do not like that game one bit. Undoubtedly the best Slug for reasons everyone is aware of. Why everyone is so down on MS4 I've never understood. Originally it was a political thing, and it seems to have stuck to it like glue. For the record, MS4 is a great game and, like STE said, criminally underrated. MS2 is the worst game in the series, being slowdown city. The ports might have sorted that out, I don't know, but the actual Neo original is pretty awful to play by comparison to the rest. Politics aside, I think the issue with 4 isn't that it's a bad game seeing as it's still on the same engine. It's just that it doesn't really stand out. Perhaps people shouldn't be so down on it, per se, but I don't really see what would make it a favorite compared to the other Slugs. I also never found NG slowdowns particularly debilitating. On other systems your input is delayed too so they're hazardous but on the NG you still commence commands on time and things only slow down in that context. Anyway, 3 is my favorite because it's the most creative. I think that's the variable where the games have the most room to differ since they're largely the same at their core. for the Japanese PS2 running at it's native full-screen 60Hz. This input lag is nowhere to be seen, and trust me... I'm really bad at spotting these things (unintentionally!). I once took a copy of Tobal No.1 back to a shop because the game slowed down during Grens Axe kick! I was young, and seemingly... retarded too! Truth is, no-one else could see this annoying slowdown, BUT it was/is there. I didn't mean to be as pedantic as I am... it can make life somewhat difficult at times, I tell you. Metal Slug is BEST? It's all down to opinions AND that's all. Same goes for worst Slug too. I don't like 4 myself, and not for political reasons... I'm not that shallow. It's simply a case of personal preference. I just enjoy all the others far more. Sure, I like 3 too... it's hard not too! It's just not my personal favourite. 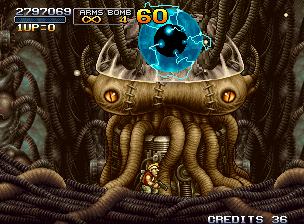 I definitely agree that Metal Slug 4 is underrated. I've been playing it quite a bit recently and have started to appreciate it a lot more. However it's still my least favourite out of the MVS slugs. I'd rank them like this: 1,3,2,X,5,4. The slowdown in MS2 never really bothered me at all in fact I prefer MS2 over MSX. I was just wondering how do people feel about the final stage in MS3? It often seems like a lot of people aren't too keen on it and feel it's overly long. Personally I love it. It's an epic ending to this arcade masterpiece. Ninja, I was talking about slowdowns in general, not Slugs on other systems. For example, slowdowns really were a problem in two player games of Dynasty Warriors me on the PS2 and there were a number of games on the SNES with slowdowns that generally resulted in deaths. Anyway, I also prefer 2 to X. I'm not really sure why. I do like X's night setting in the first stage, the second stage and boss are better in X and the ending artwork is nice, but I still like 2 better. I love the last stage of 3. I think the stage length is largely a semantic issue; I don't really know what an additional stage division or two would really have brought to the table. There are cinematic breaks during that stage anyway, so you can still stretch your fingers. i am with you on slowdowns Ninja, even minor ones. i really hate them! haha i think it cos i like things to be silky smooth. for me graphics is about more than just how they look, it is about artistry, animation and smoothness all combined. worse it actually affects gameplay when they game slowdowns. It really is just bad programming that causes it Some SNES games are appalling for slowdowns, people used to say Super R-Type on snes slowed down real bad. Metal Slug 1 is really good for not slowing down much, i know there are a couple of frame rate drops but you don't really notice. 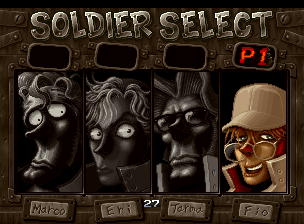 Metal SLug 3 is very good too I think. I have yet to play one of their shmups (R-Type in particular) and the game not take ridiculous frame drops when there's a 'bit' of action on screen. The most disappointing instance of this for me was R-Type Final. I mean, this game was DESIGNED to run on the PS2 hardware and should have been flawless (like GradV, TFVI & Border Down) but it was far from it. It really makes no sense as to why they'd 1) make a game badly... 2) release it KNOWING that the slowdown, IMO, is insufferable... 3) not make reparations to their track record of releasing all their games with unnecessary slowdown. It sounds harsh, but as talented as they are at games design itself, their programming and optimisation is abysmal. I don't get it. Also, 'In The Hunt' for the Saturn (Slug in a Sub!) is also horribly, HORRIBLY plagued by slowdown. Shame as the game could have been pretty cool. As it stands NOT all their games suffer so badly (R-Type3 on SNES), but 'Final' is the one game where I find it inexcusable.